This guide is only a flavour of the things we think you can do with Glisser to create truly engaging and interactive events, presentations and lectures.But we’re not the only experts - we’d love to hear other ways you’ve used us! Remember: together, we can eliminate Death by PowerPoint once and for all. We know what it’s like – no matter what you say, the presenters always take it right to the wire. Fortunately, presentations upload to Glisser in minutes (literally 1 to 2 seconds per slide!) and individual slides can be deleted or replaced, so you can make changes pretty late in the day. However, a really good tip is to upload a single ‘holding slide’ (with the event logo and some basic event information on it, for example) for each presentation, as soon as you’ve agreed the rough schedule. That way, you can get the event structure in place, as well as set your event and presentation URLs for communication to your audience (even printing in marketing literature). When the final presentations arrive, upload them in the relevant slot that you pre-built, and delete the holding slide. Simple! Without doubt, the single biggest factor in ensuring Glisser is a success is the way it’s introduced to the audience. A great chairperson, moderator or first presenter can really increase adoption rates and drive engagement. What they say and do in the first five minutes is crucial. They should have a slide explaining how the participation will work, and give audience members the Wi-Fi details as well as the Glisser URL. They should also explain why people should participate – you want to hear their views, you want to encourage discussion, you want to keep them awake! They should reiterate the link whenever appropriate, and comment and endorse audience participation. Not using PowerPoint? No worries; Glisser is just as effective polling and collecting audience questions during panel discussions. Either upload a single slide (with a logo or list of panel members) or create a ‘Q&A session’, which needs no slides at all. Switch on the interactive features you want, such as audience questions and polls. 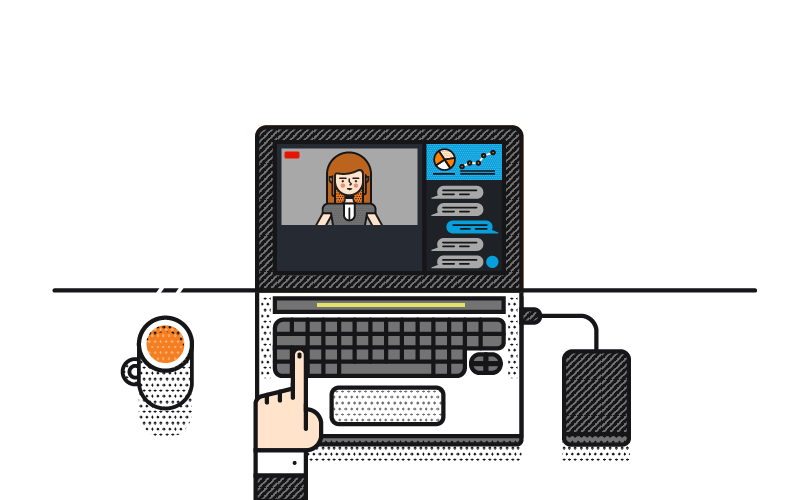 That way, your audience can ask the panel questions and upvote the questions they most want answered – effectively crowdsourcing the content for the discussion. The democratic nature of the process means they feel valued, more engaged and able to personalise the agenda. Polls before, during and after the debate also add an element of interest, and allow the crowd to collectively participate on the panel themselves. Don’t wait until the event kicks off to start gathering data from your audience. Pre-event polls can even inform the content you choose to focus on. Audience polls can be set up before the first slides of the first presentation. Once complete, simply ‘present’ those polls by clicking through the poll slides to the first ‘proper’ slide. That way, the polls will be unlocked for your audience to answer, but they’ll not be able to see beyond the first slide/title slide of the main presentation. Alternatively, you can create a dedicated audience survey designed to capture as much data as possible before people arrive at the event. Just create a few PowerPoint slides (maybe introducing the survey, and a ‘thank you’ slide for the very end, and drop all your questions in between. ‘Present’ the whole deck to make it available to the audience, then send them the unique URL. We’ve found that it’s really important to get the audience using the technology early in the day. A few quick audience polls go down particularly well. Those that work best tend to be quite light-hearted. They might be asking the audience’s opinion of a popular news topic of the day, or making some sort of in-joke that most of the room will get. By using humour in your early polls, you can help drive engagement and enthusiasm for participation. These questions are not designed to collect valuable data (that can come later), but to get people used to the technology and keen to answer more. Audiences love to see the results shift around in real-time as more votes come in and see what they think compared to the crowd – just like when ‘Who Wants to be Millionaire’ contestants ‘Ask the Audience’. We know how important it is to feel confident that your slides are set-up correctly – that’s why we encourage you to practice as much as you want. 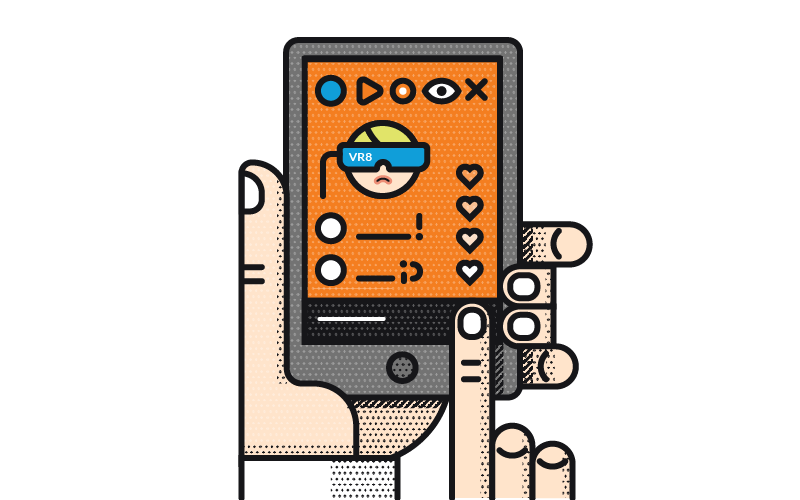 Use your smartphone to get the audience perspective! We encourage you to practice your slides beforehand so that your event runs as smooth as possible. You can use your smartphone and go along as an audience member. This means that you can take part in polls, voting and answering questions. This will give you a feel of the entire experience, allowing you to change it or gear it in any way you like. When you feel like you’ve practiced enough, just hit the ‘reset data’ button on the menu. Audiences are again restricted to the first slide, and voting, question and ‘like’ data is deleted. The presentation is effectively clean and ready to present again – either live or for another practice. One point to note. Your mobile device will cache slides when you practice – so clear your cache to reset them in your device. For maximum engagement we recommend you tell your audience about Glisser and your audience URL through a variety of formats. If you set up holding slides and create your event well in advance, you’ll be able to secure your preferred audience URL and have time to print it onto marketing literature. 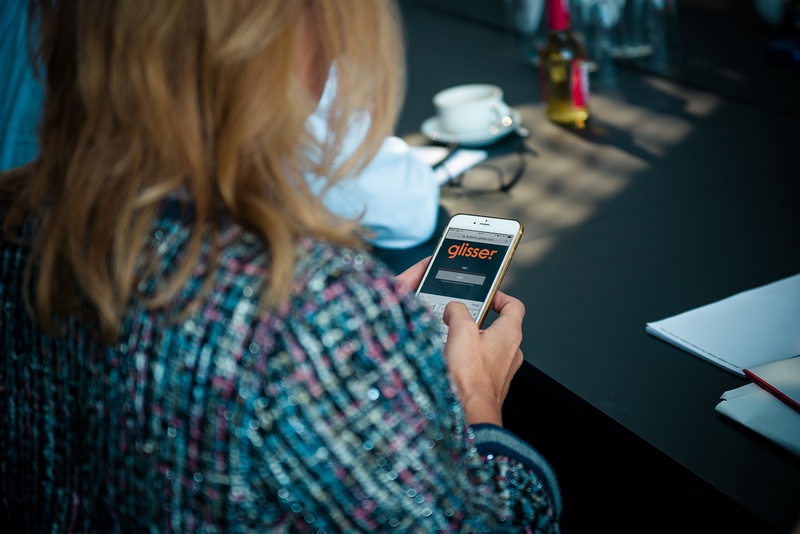 Of course, digital platforms, such as websites, give you loads of scope to link people to the audience URL, as do event apps or mobile-optimised websites which can all be integrated with Glisser. The Glisser system also displays the audience URL before each session, and pops up on the screen throughout the presentation in a small black box so that latecomers can jump right in (just tap ‘X’ if you ever want to remove this). To make Glisser a cost effective solution for presenters and businesses of all shapes and sizes, we rely on connectivity at the venues you use. For presenters we recommend a wired connection or, failing that, a segregated Wi-Fi log-in (although we often present from our own 4G hotspots from our smartphones). Audiences need Wi-Fi or 4G. 3G will work, but it’s not recommended, except for simple Q&A sessions without slides. As a result, it’s really important to check the connectivity at your venue. We have a tech document, outlining guidelines and requirements, that you can send to your venue in advance, but it’s also worth running checks on the day. The stronger the wifi, the smoother the experience. Event planners can help drive the discussion by seeding one or two questions early in the session. Simply log in as an audience member on your own smartphone, and post a question. 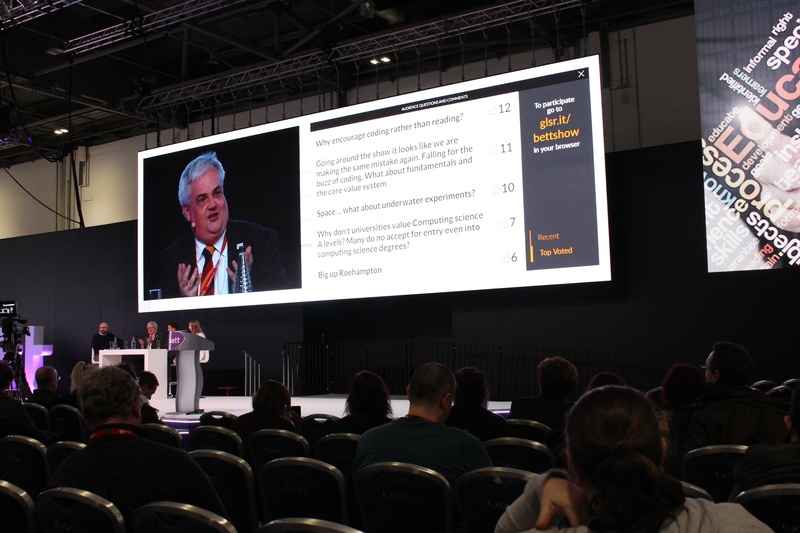 Once one question has been posted, other audience members feel a lot more confident about posting their own, and of course these can be prioritised by the speaker – you could even archive your original seed question if you are moderating the discussion. This technique ensures there are plenty of questions for presenters at the end of sessions, and avoids that long silence as nobody raises their hand to ask something out loud. When you get to the last slide in your presentation, Glisser can make the slides available to the audience to download via email along with their personal notes. Glisser offers functions called ‘download slides’ and ‘audience notes’. If ‘download slides’ is enabled, then after the last slide of the presentation, the audience can download the presented content. That means it’s really important that presenters present their whole presentation in ‘Present’ mode, or that event planners ‘push through’ any remaining slides that were not presented. This also completes the presentation in the Glisser system, triggering a wrap up process that generates your presentation stats and a completion email summarising audience interactions – very useful information. The ‘audience notes’ function allows the audience to take notes on their devices against the slides being presented, all through Glisser. After the last slide of the presentation, the audience will be receive their notes in pdf version via email. 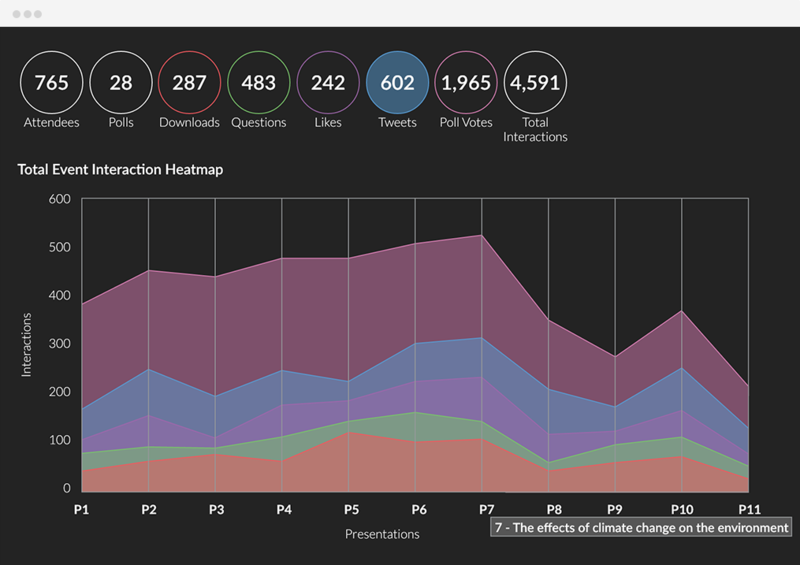 After presenting, it is often useful to click on the ‘Analytics’ button, which will give you insight and meaningful data regarding the number of interactions, number of attendees, likes, poll answers, questions asked (and by who), slides liked etc. Reviewing the analytics allows the presenter to understand the audience better, which will lead to better and more focussed events in the future.